Training for a World Championship event and being home schooled, Izaiah Aduhene is not your average 13-year-old. Izaiah is a tumbler; a form of gymnastics performed without props or equipment, it involves somersaults and flips, whilst trying to maintain your balance. His father, Anthony Aduhene recently set up a Just Giving campaign to try and raise £2000 for him and his family to go to the World Championships in Sofia. The money raised will be used for travel and hotel expenses, as well as the cost of Izaiah’s kit. They also need the money to buy their own food and water, as they can’t risk eating or drinking contaminated food before a competition. I spoke with him in October to find out more about him and his campaign. What is it that you like so much about tumbling? Izaiah in action in the Loule Cup. What previous events have you taken part in? 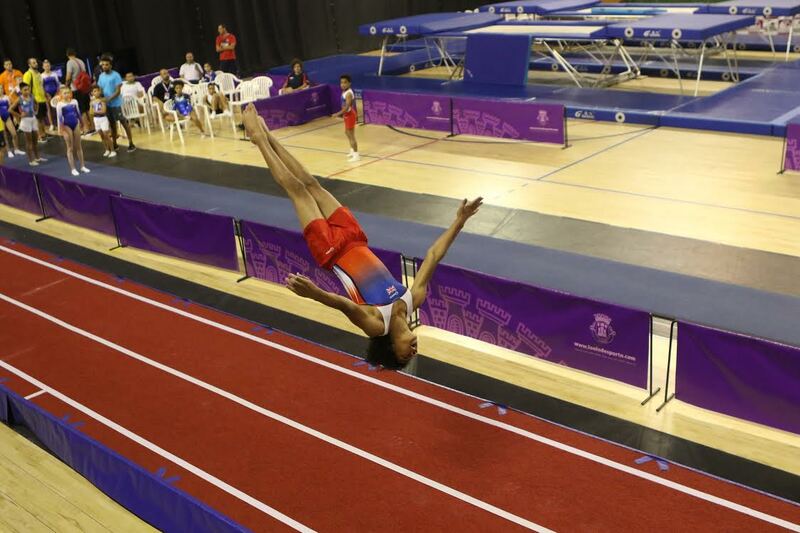 Izaiah in action at the British championships. What preparation do you do in the run up to an event? Tell me what your previous results have been and how they have improved since you started competing? 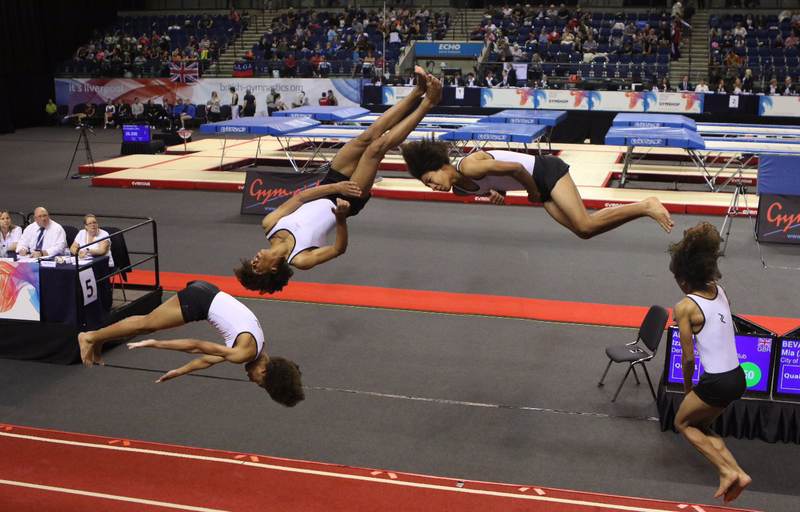 Who are your inspirations when it comes to gymnastics? Tell me about your Just Giving campaign and what you’re trying to raise money for?